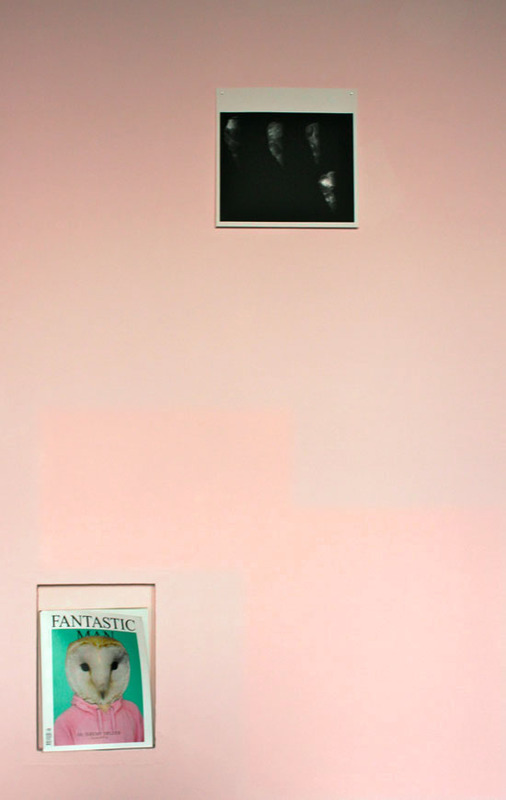 CRATE is delighted to announce the opening of a collaborative show of new works by Jeremy Deller and Fraser Muggeridge. Taking elements from Deller’s English Magic exhibition, English Magic Re-Mix is a selection of new and re-worked imagery. Conceived originally as being a celebratory way to mark the end of a touring show, English Magic Re-Mix acts as the naughty offspring of the original. The exterior of the CRATE building (a former printworks behind Margate High Street) will be transformed with posters and viewable at all times throughout the duration of the show. 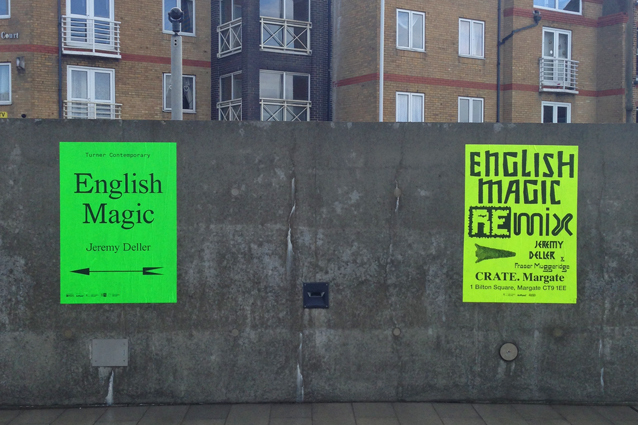 English Magic Re-Mix will run concurrently with the final showcase of English Magic at Turner Contemporary, Margate (11 October 2014-11 January 2015). Two prints will be for sale in an edition of 300 at the exhibition. 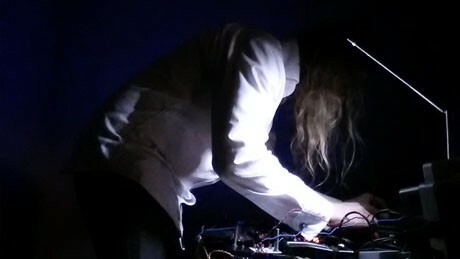 CRANK STURGEON performs live at CRATE. CRATE's Collaborative Research Group have teamed up with The Harbour Arms, Pete's Fish Factory, The Tudor House and RG Scott Furniture Mart to bring a micro beer festival to Bilton Square, Margate. The Beer Fest is a one day event held in Bilton Square, Margate, on the 6th September 2014, and will be situated beside and supported by Crate and Limbo, whilst working as part of Turner Contemporarys’ 'Summer of Colour' and Margate's 'Big Busk'. Margate and the rest of the Isle of Thanet has a rich history in the production of malt and barley,which would be exported both to London and the European Low Countries between the 16th and 18th century. As a pre-empt to the possible re-opening of a 16th century malt-house in Margate, the Beer Fest aims to celebrate this former provision from the Isle, whilst also providing the space in which to acknowledge the surge in popularity of ale consumption, and more broadly, the space that surrounds alcohol consumption. which is due to be held at The Tudor House in Margate. The event is the last ‘First Friday’ event of the Summer of Colour, a Turner Contemporary initiative to promote the celebration of Mondrian and the collaboration between organisations in Margate and Thanet. It will also be happening alongside The Margate Big Busk which sees a day of busking and street performance throughout Margate, based at various sites and venues, one of which will be Bilton Square. There are no studio spaces currently available. For Whitstable Biennale 2014, Collaborative Research Group (CRG) created a social space within Kieren Reed’s From the Ground up, (A) Social Building, which also doubled as the Biennale’s HQ. 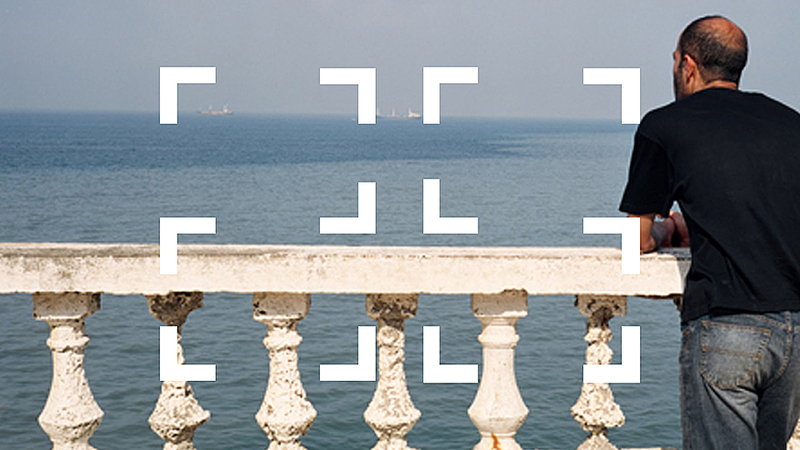 CRG provided a context for interpreting the Biennale through participatory activity, talks, tours and other events. Charley Thomas is the result of free conversation between two artists, Charley Vines and Thomas Langley. 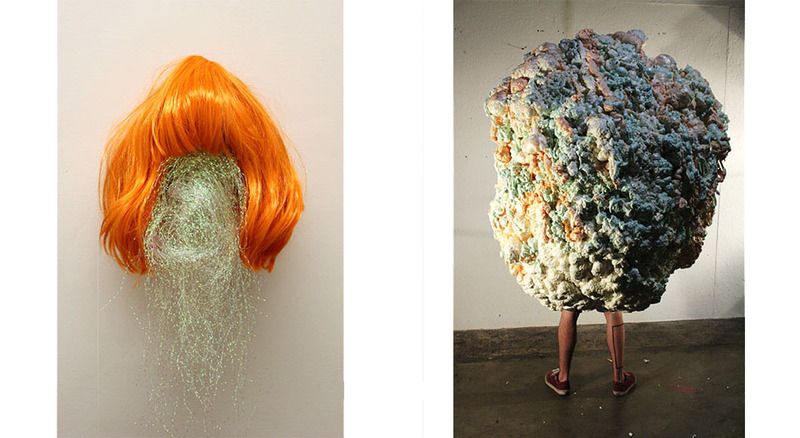 The work flirts with a language articulated through material, pictorial and spatial exploration. Motif and gesture provide the framework for objects nearing on the absurd. One is in training One is in between Now there is a show. 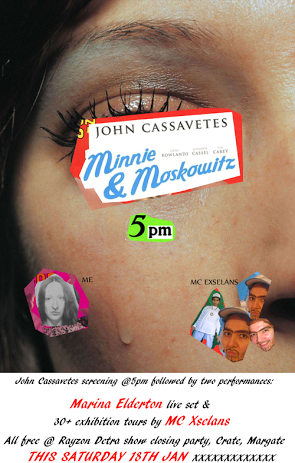 Saturday 29 March, 2015, 6pm. Zineb Sedira’s twin-screen installation Saphir (2006), was filmed in the city of Algiers – its sharp, azure light illuminating parallel stories of migration and historical legacy that are embodied in the presence of the Safir hotel, a faded architectural landmark from French colonial times. In this special presentation at the Walpole Hotel in Margate, another place where fluctuating maritime light is a constant feature, and whose recent history has also been informed by patterns of migration and architectural change, Sedira will show Saphir, and a new work, Guiding Light (2014), inspired by J.M.W. Turner. After the screening, she will be in conversation with the critic, Lucy Reynolds. This event is a collaboration between Film and Video Umbrella and Crate, and takes place as part of Film and Video Umbrella’s 25th anniversary programme, 25 Frames. To join a walking party to The Walpole Hotel for Sedira’s screening, meet outside Turner Contemporary at 5pm to be taken on the short walk along the coastal cliffs. The hotel is a 15/20 minute walk from the town centre or a five minute cab ride. 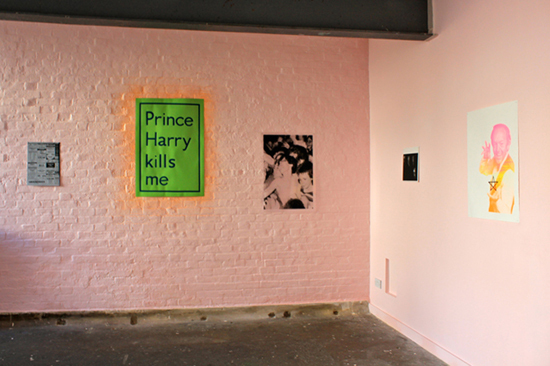 PREVIEW: FRI 31 JAN. 18:00 – 20:00 There is something rewarding in existing, and producing, cheaply. Everybody loves a bargain. Using site as subject, Cheap Thrills come out of the repetitions, observations and habits of the studio and its locale. Both pedestrian and familiar, a study of these day-to-day rhythms also presents the opportunity to see the minutia, perhaps even the exotic. The paintings show attempts to refine and reduce, refine and expand.They are frustrated and indulgent – a little playful. Experimental objects suggest tongue-in-cheek value. Spinning disco-teeth, dancing boots - they activate the paintings, reminding them to reject the constraints of their medium. 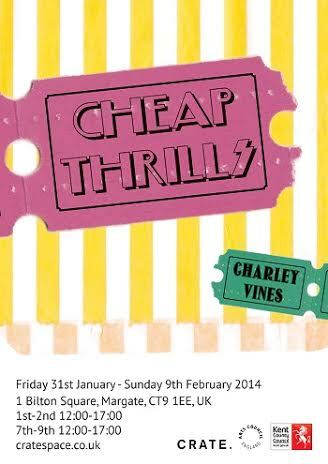 Cheap Thrills is an exercise in the processes leading towards an exhibition. The processes of experiencing and deconstructing the subject. The processes of painting towards an end.